The idea of human gene therapy was accepted by the medical community and society at large long before believable clinical benefits began to emerge. In this book, some of the field's most distinguished contributors chronicle the evolution of this momentous direction for medicine, illustrating how imaginative concepts shaped the development of technologies and brought the daring new idea to its current position of imminent practical success. This is a book designed to endure as clinical advances accumulate, a clear-eyed work of reference that will anchor the further development of this revolution in therapy. It is an essential addition to libraries of clinical medicine, biotechnology, and public policy, and a resource that no laboratory investigator with an interest in the biology of gene transfer should be without. "Highlights of this large volume include an excellent chapter on naked DNA injection into various tissues. The fact that this leads to gene expression at all is remarkably encouraging for the future. Another chapter considers targeted gene repair in mammalian cells using chimaeric oligonucleotides. Although a long way from the clinic, this represents the beginnings of genetic surgery. The short review on stem-cell transplantation is concise, yet informative, while the ethics of the subject are well reviewed in a historical context." "The Development of Human Gene Therapy is a benchmark for the field in 1999. The book should be of interest to scientists and nonscientists alike. Friedmann has captured the prevailing feeling that efforts must be focused on the basic principles of gene transfer to translate the science into effective therapeutics in the future." 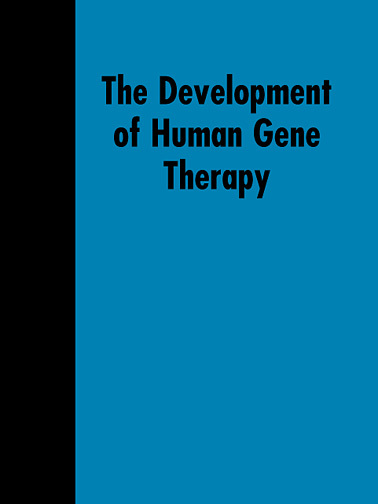 "The Development of Human Gene Therapy is a timely and useful book that highlights the significant recent advances in the field. At the same time, it illuminates the important hurdles that remain to be overcome en route to a clinically useful reality."
. Friedmann has succeeded in putting together a meticulous and timely book that admirably captures the gene therapy roller-coaster ride over the past decade."